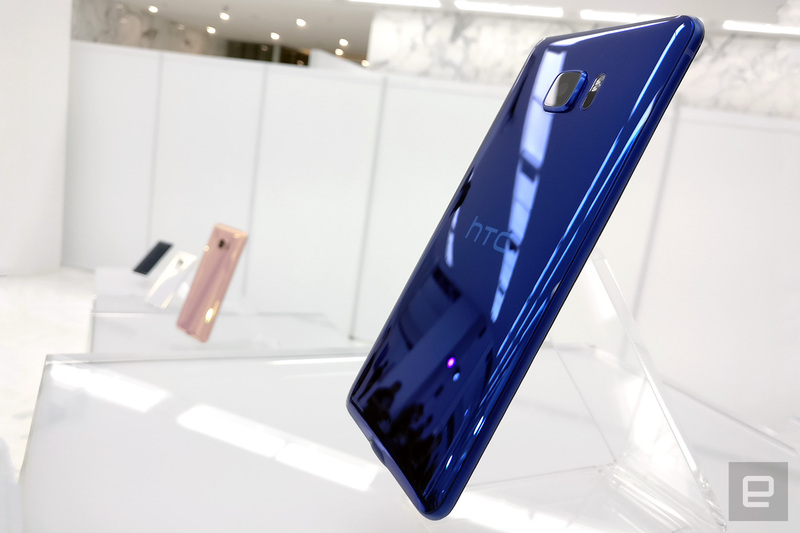 Expect to see just six to seven new HTC smartphones in 2017. 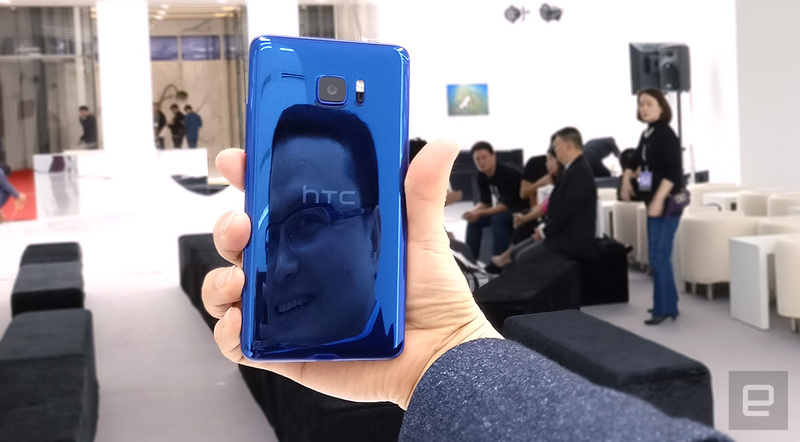 HTC President Chialin Chang holding a U Ultra at the launch event. HTC may have taken a bolder approach in the smartphone world with its new U Ultra and U Play, but it's decided to play it safe with its roadmap for the rest of the year. After today's launch event in Taipei, I caught up with President of Smartphone and Connected Devices Business, Chialin Chang, who confirmed that HTC will only be releasing six to seven smartphones this year. While that's a drastic cut from last year's eleven to twelve models, he claims this has so far allowed the company to focus on its smartphones' core features, in a bid to put up a better fight against other brands. In the case of the two newest phones, Chang sees machine learning as their main selling point. The exec described the so-called Sense Companion virtual assistant as a combination of Google's Awareness API, device information and third-party data. Over time, the device learns your commuting pattern, dining preferences and app usage habits, in order to offer useful tips at the right time. For instance, it will be able to tell whether you walk, drive or take public transportation to work, and will eventually offer relevant departure times; it will even throw in weather alerts before you leave home or work. While some of these assistant features are already available on Android in some shape or form, HTC's approach goes deeper than, say, Google Now. 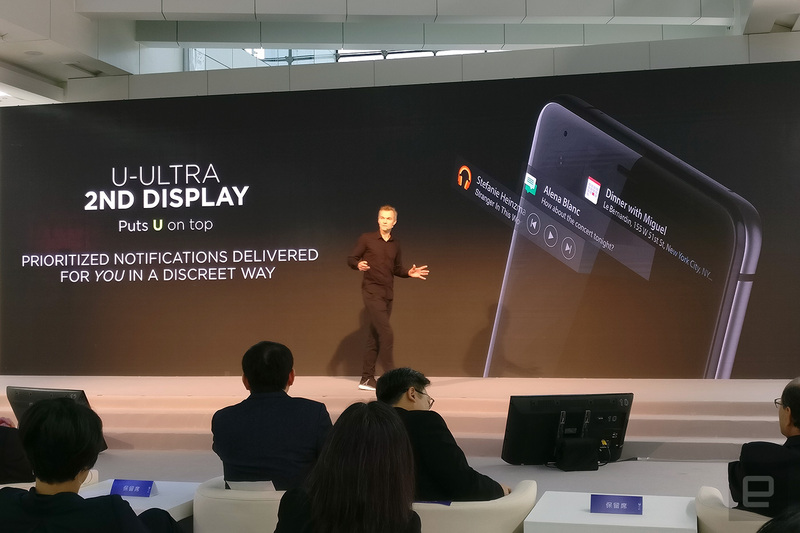 Besides, U Ultra users will get these notifications on the always-on second display just above the main screen. Better yet, your assistant profile data is stored in the cloud, meaning that when you switch to another HTC phone in the future, you don't have to retrain Sense Companion; simply log into your HTC account and your new device will be just as smart as your old one. Chang added that throughout 2017, HTC will be adding more Sense Companion features via updates, which should see the addition of more third-party services involving the likes of restaurants, malls and cab-hailing apps, in the hopes of making it more of an integral part of our lives. Or as the exec put it, "we're not trying to emphasize A.I. ; we're trying to emphasize companionship." Admittedly, we won't know how well Sense Companion works until we've spent some quality time with the new phones, but the U Ultra alone -- set to ship in the US in March -- has a few more tricks up its sleeve. Its bundled USonic USB-C earphones can quickly scan your ear canals using sonic pulse, and then the phone automatically adjusts its audio output's frequency response to make up for weaker hearing at certain frequencies. This is more convenient than the manual tuning on the HTC 10 and the HTC 10 Evo (aka Bolt). The U Ultra also packs four always-on microphones for biometric voice recognition plus high-res 3D audio capture -- something that Chang believes is the future for mobile VR. Photography-wise, the U Ultra has the same awesome 12-megapixel UltraPixel main camera as the HTC 10, as well as a 16-megapixel front-facing camera which offers an UltraPixel mode for boosted sensitivity in dark environments. Not to mention that the device comes in a refreshingly gorgeous "liquid surface" design. "We hope consumers will really see value in this smartphone." For the remainder of the year, Chang told us to also expect a few Desire devices for the "fun and affordable" markets. When asked whether there will be an "HTC 11," the exec simply said it won't be named as such this year, so there's a good chance that HTC is still committed to a true flagship device for 2017 -- one which will hopefully take advantage of Qualcomm's upcoming Snapdragon 835 chipset.